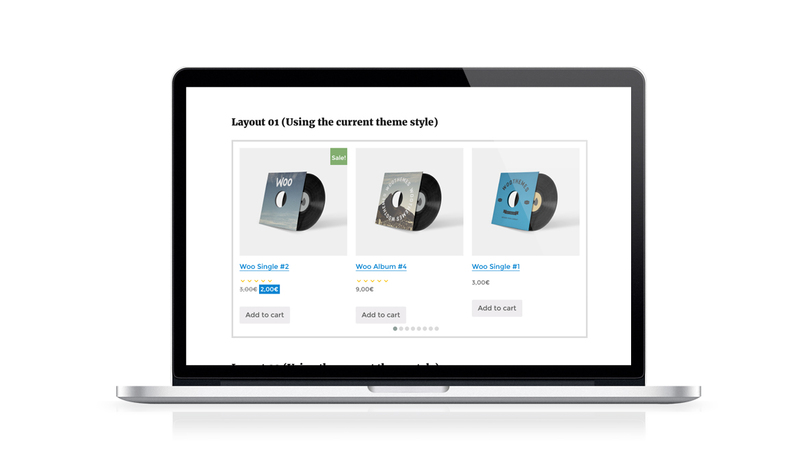 WooCarousel, free WooCommerce product carousel plugin. 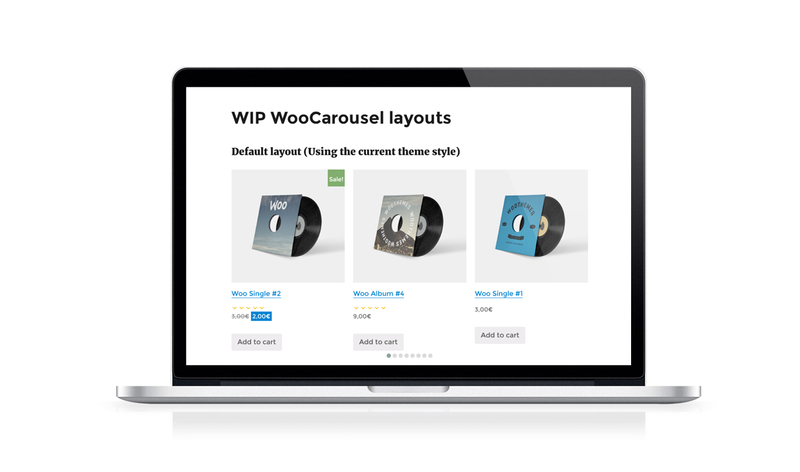 WIP WooCarousel - Free WooCommerce product carousel. 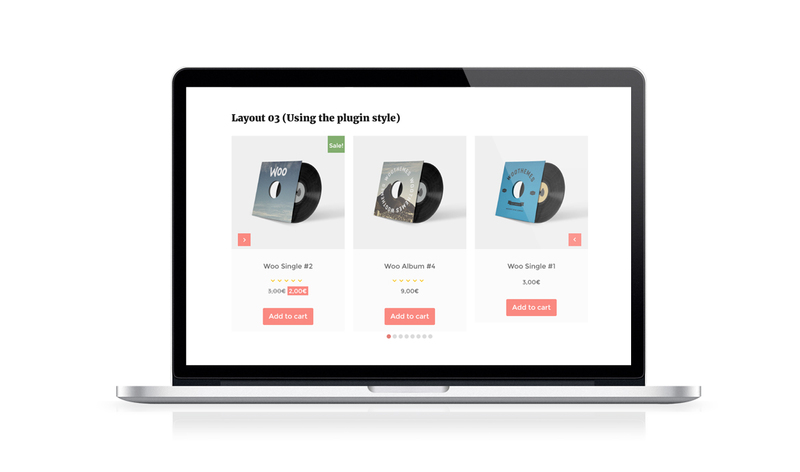 WIP WooCarousel plugin allows you to create infinite carousels with the products of your WooCommerce website, this product slider can help you to increase conversions and sales of your shop.WIP WooCarousel plugin works with each WordPress theme and plugin and is 100% compatible with GPL license. See a preview of the option panel and the shortcode generator. For only WordPress 3.9.0 and higher versions is available a dynamic shortcode generator, to manage your carousel. WooCarousel has a custom widget to display the carousel under a sidebar. You can set a default plugin skin and replace the saved options. You can change the colors of each section, like the add to cart button. You can create a backup of plugin settings or restore the default settings. You can import the preview settings, from the backup section. How i can purchase the plugin? You can purchase the plugin using PayPal. It is not necessary to have an account, just a credit or debit card to process the payment with. I bought the plugin but i did not receive any email. Can i use your plugins for a commercial project? Absolutely, yes! 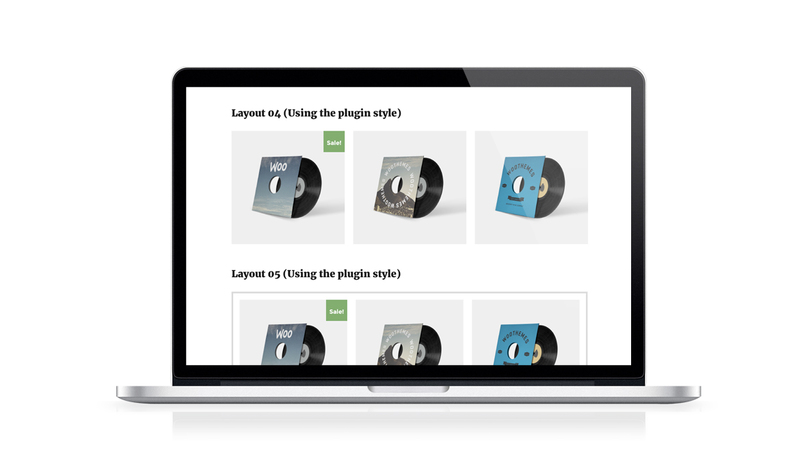 You are welcome to use our plugins for commercial projects. Can i change the language of the plugin? Yes. We recommend the free application ‘Poedit’ for translating the plugin. If your license key has expired, you can still use the item you have purchased, however you are not able to configure our item from the option panel. What is the average response time of premium support? What are the requests that i can send to your support service? Requests can be include general queries, bug reports and even little customisations of the plugin. We also provide the additional flexibility of adding new features or more advanced customisations to the plugin, priced at an hourly rate depending on the request. WooCarousel WordPress plugin is not subject to the GDPR as it does not processes and store any personal data of your visitors.